Discussing winner of the National Book Critics Circle Award for Autobiography, Nine Continents: A Memoir In and Out of China by Xiaolu Guo. Our Transnational Book Club will explore themes of migration, displacement, and exile. To contact our moderator, email shuchi@brooklinebooksmith.com. Xiaolu Guo is one of the most acclaimed Chinese-born writers of her generation, an iconoclastic and completely contemporary voice. Her vivid, poignant memoir, Nine Continents is the story of a curious mind coming of age in an inhospitable country, and her determination to seek a life beyond the limits of its borders. Xiaolu Guo has traveled further than most to become who she needed to be. Now, as she experiences the birth of her daughter in a London maternity ward surrounded by women from all over the world, she looks back on that journey. It begins in the fishing village shack on the East China Sea where her illiterate grandparents raised her, and brings her to a rapidly changing Beijing, full of contradictions: a thriving underground art scene amid mass censorship, curious Westerners who held out affection only to disappear back home. 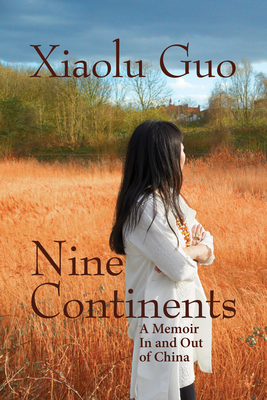 Eventually Xiaolu determined to see the world beyond China for herself, and now, after fifteen years in Europe, her words resonate with the insight of someone both an outsider and at home, in a world far beyond the country of her birth. Xiaolu Guo was born in south China. She studied film at the Beijing Film Academy and published six books in China before she moved to London in 2002. The English translation of Village of Stone was shortlisted for the Independent Foreign Fiction Prize and nominated for the International IMPAC Dublin Literary Award. Her first novel written in English, A Concise Chinese-English Dictionary for Lovers was shortlisted for the Orange Prize for Fiction, and Twenty Fragments of a Ravenous Youth, published in 2008, was longlisted for the Man Asian Literary Prize. Her most recent novel, I Am China, was longlisted for the Baileys Women’s Prize for Fiction. In 2013 she was named one of Granta’s Best of Young British Novelists. Xiaolu has also directed several award-winning films including She, A Chinese and a documentary about London, Late at Night. She lives in London and Berlin.